There's a reason Jamie Dimon is a banker and not a diplomat. The CEO of JPMorgan (JPM) took a shot at Senator Elizabeth Warren, an outspoken critic of the banking industry, as he questioned whether she knows what she's talking about. 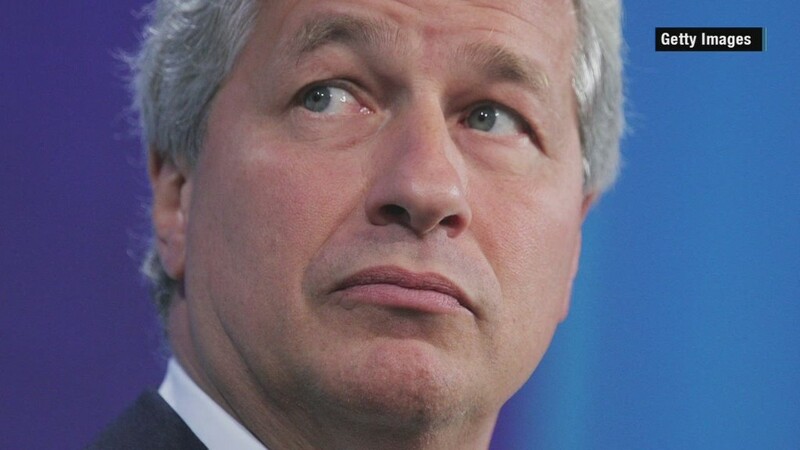 "I don't know if she fully understands the global banking system," Dimon said Wednesday at an executive luncheon in Chicago, according to a transcript provided by JPMorgan. Dimon added that he agrees with Warren's concerns about pockets of risk in the industry, and that he's willing to meet with her to "maintain a good relationship." "There are legitimate complaints that you get from politicians in Washington," said Dimon. "So I go to them and I literally say to them if you have a complaint, here is the person to call. And we will take care of it." Still, it's unlikely that Dimon and Warren will see eye-to-eye on much. "I don't have to agree with what every politician thinks about everything," Dimon said. Warren, a populist Democrat from Massachusetts, has called for big banks to be broken up, warning that they still pose too much of a risk to the economy. She currently sits on the Senate Banking Committee and helped oversee the federal bailout of the banking system in 2008. She was also instrumental in creating the Consumer Financial Protection Bureau, a new government watchdog for the financial sector. Meanwhile, Dimon has long complained about government regulations that he says are overly restrictive and could make it difficult for banks to respond in a crisis. In January, he told reporters that JPMorgan was "under assault" by regulators. Despite their disagreements, Dimon said he has seen Warren many times and that their conversations have been constructive. Dimon said Wednesday in Chicago that he met with Warren when she became head of the CFPB and that she was pleased with JPMorgan's credit card policies. According to Dimon, Warren is even a loyal Chase customer. "I have your credit card and love it," Dimon remembers her saying.